Stephon Pace was chosen as the Faculty Focus Friday employee for high schools. 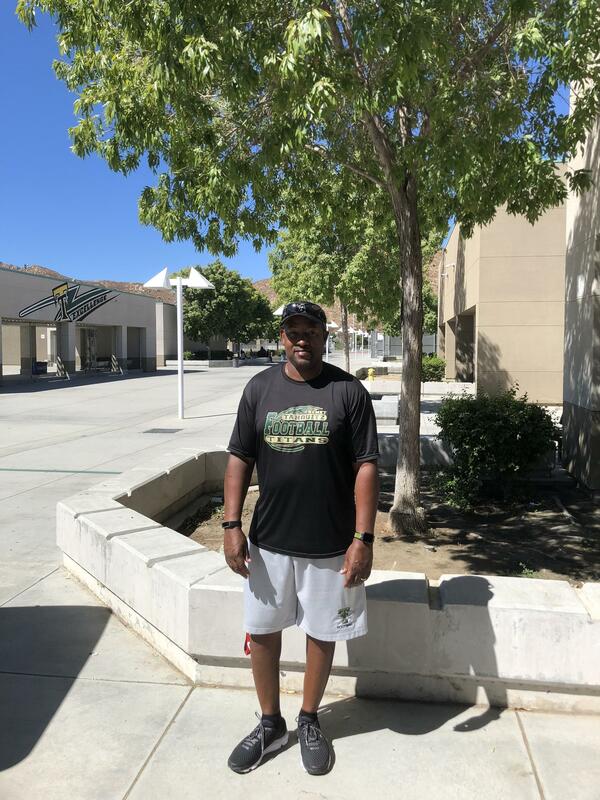 Stephon is the Head Football Coach and Campus Supervisor at Tahquitz High School. He took over the Tahquitz football program this year and the team is currently 4-0. Stephon is everywhere on campus supporting students, keeping them involved, and making sure they make grades. He cares deeply for students and sets his standard high for all students on campus. The 4-0 record is nice but more rewarding for us to watch is how he is building character, putting priority in the classroom, and creating a family. The culture he has built with his team has spread throughout the campus. The team has recently faced adversity and Coach Pace has stood by his players teaching them grit and determination to overcome all obstacles. Thank you for all that you do for the Tahquitz campus!